Located at the Piazza Castello this museum boasts one of the nicest collection of arms. The collection consists of swords, firearms, armor ranging from the Medieval times to today. This is one of the largest museums dedicated to automobiles in the world. It consists of 170 cars and offers a great look at the history of the automobile. This museum is dedicated to the Shroud of Turin, which is one of the most revered symbols in the Christian community. Divided into a Historical collection and Piedmontese archeology collection this museum contains the collections of the Dukes of Savoy. This museum houses the second largest collection of Egyptian artifacts outside of Cairo. 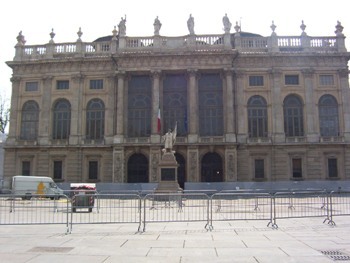 The National Museum of Cinema is located inside the Mole Antonelliana, the historic building representing the city of Turin. Located in the Palazzo Carignano this musuem illustrates the process of political unification of Italy, which took place in the nineteenth century. Museums are listed alphabetically and by category. It includes a map to help you locate each museum and has information on purchasing a museum card.